As your due date approaches, you’re probably wondering - Will I deliver vaginally or by c-section? Sometimes, a high-risk pregnancy (including twins or more) means that you’ll need a c-section. And if your baby is breech, you may need a c-section. But, to this day, over two thirds of babies are born vaginally in the U.S.
Here’s our guide to vaginal births and c-sections, including when they’re most common, and the pros and cons of both. Remember, the ultimate goal is a healthy baby and healthy new mom. Your doctor will help you find the option that’s right for you. Over two thirds of American babies are delivered vaginally each year. Vaginal births are usually the most natural and least complicated way to deliver a baby. Here are some of the pros and cons. Many women who deliver vaginally say they felt more involved in the birth process, and in general tend to have more positive feelings about their deliveries. Mothers who deliver vaginally also recover faster on average than women who deliver by c-section. Vaginal birth can also have big health benefits for your baby. 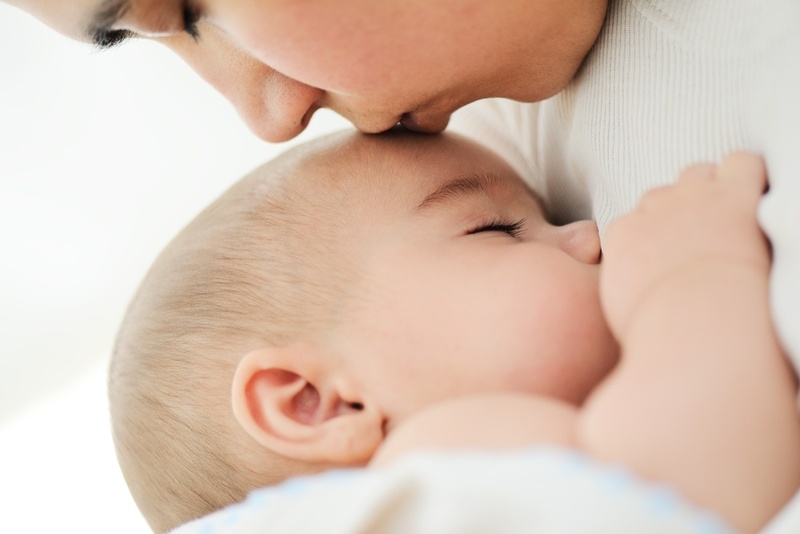 During birth, your baby picks up bacteria from your birth canal. This can help protect them against disease and help the development of their digestive systems. Vaginal births can be unpredictable, and often take longer. Sometimes, vaginal tears can occur during birth. These will require stitches. If you have a high risk pregnancy (including multiples), or if your baby is breech, you’ll probably deliver by c-section. Many women also choose to deliver via c-section if they want to pick their delivery date. Your doctor will help you determine if this option is right for you. Scheduled c-sections are more predictable, and give the mother more control over when their birth occurs. Some women choose elective c-sections so they can schedule their due date. But, unscheduled c-sections may be indicated during the labor process if your cervix doesn’t open, if your baby doesn’t come down in the birth canal, or if your baby doesn’t tolerate labor. A C-section is a major surgery. Unless they are medically necessary, they can be much riskier for the mother than delivering vaginally. In addition, recovery is longer for c-sections. You’ll be at the hospital for an average of three days (compared with two for a vaginal delivery), and recovering completely can take up to six weeks. In addition, babies born by c-section may take longer to build up their immune and respiratory systems. Each pregnancy and delivery is unique, so talk to your doctor to find out what is right for you. Remember, your best option is whatever is best for mother and baby. So, you know the pros and cons of c-sections and vaginal births. You’re prepared for labor and delivery. What else can you expect before you bring your new baby home? Apgar score - This test is performed at one and five minutes after birth. Your provider will test your baby’s activity, heart rate, reflexes, and breathing. This helps your provider determine if your baby needs additional medical attention. Blood spot test - This test will check for metabolic disorders like phenylketonuria at 24 hours of age. Hearing test - It is important to do this while in the hospital, since babies begin taking in sensory information from the world around them as soon as they’re born. Catching hearing disorders early increases the chance that treatment can help your baby make sense of the world of sounds around him or her. *The MN Department of Health has a complete list of newborn screenings performed in Minnesota. Testing varies slightly by state. If there are other tests you’d like performed, check with your insurance and your provider before your due date to make arrangements. Vitamin K Shot: A newborn has incomplete liver function and lower levels of blood clotting proteins. This shot helps improve both. Antibiotic Eye Ointment: This is placed in the baby’s eyes but does not cause pain or irritation. It prevents eye infections for vaginal bacteria. Hepatitis B vaccine - These vaccines are usually given in 3 doses: immediately after birth, around 1-2 months, and after 6 months. Circumcision - If you’ve decided to have your baby boy circumcised, this can be done before leaving the hospital, or as part of a follow-up visit. Circumcision can be done in the hospital or clinic, but will depend on the pediatrician, your baby’s health, and insurance coverage. We recommend calling your insurance carrier to assess where (if at all) that procedure is covered. Before you go home, your provider will make sure your recovery is on schedule. You’ll need to be able to use (and walk to) the bathroom unassisted, keep solid food down, be free from fever or other signs of illness and your vaginal bleeding has decreased appropriately. Your doctor will also check to make sure that your uterus is shrinking normally and vaginal repairs or abdominal incisions are starting to heal. A regular stay after a vaginal birth is about 2 days, and a regular stay after a c-section is about 3 days. If you or your baby need a little extra care, your stay may be longer. This is common if your baby is premature and needs some extra attention in the NICU. There’s a lot to keep track of during your pregnancy. It’s natural to have a lot of questions. That’s why we’ve created Your Guide to a Healthy Pregnancy. Get the information you need to take care of yourself and your baby, based on our expertise as women’s healthcare providers.